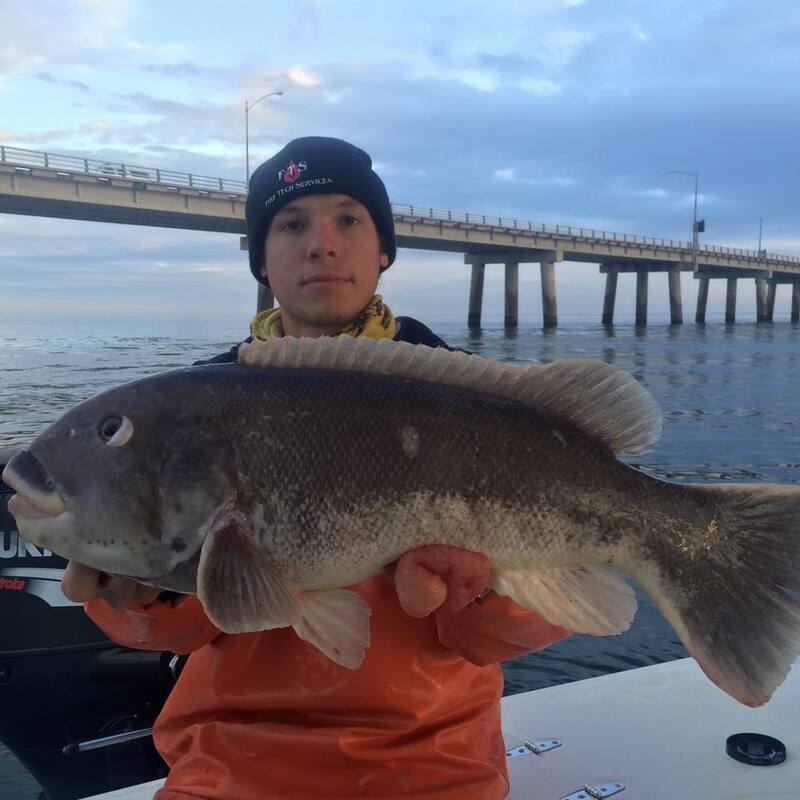 The Captain of this Virginia Coastal and Chesapeake Bay fishing charter is Austin Hayne. He received his OUVP Coast Guard certification as a fishing charter captain in 2012. Captain Austin Hayne was raised on the Chesapeake Bay and that is where his love for fishing began at a young age. In his early teens he would spend his days surf fishing, quickly becoming an outstanding angler. As his love grew for fishing, he expanded his fishing to Chesapeake Bay fishing piers. The transition to pier fishing requires some different angler skills and Captain Austin quickly adapted to the pier fishing techniques. In his first year of pier fishing he was able to catch an impressive 70-pound Cobia and 40-pound Striped Bass as well as many other species of fish. His passion for fishing continued to grow and he continued to expand his knowledge by challenging himself to learn fresh and new techniques. Captain Austin then decided to challenge himself even further by transferring the skills that he had learned through the years from surf and pier fishing to boat fishing. Some may think that the surf, boat, and pier angler techniques are all the same. However, that is false. All three types of fishing require a different skill set. Captain Austin once again had no problem becoming knowledgeable through studying various elements. Some of these elements are winds, tides, moon phases, and more. Captain Austin Hayne frequently gets requested to speak at different venues on his many fishing techniques. His seminars are both informative and enjoyable, as he brings full multimedia equipment including videos, photographs, projector slideshows and hands-on demonstrations. Trying several different fishing strategies has resulted in countless trophy fish. He has received a variety of Virginia Trophy Fish Awards for Striped Bass, Cobia, Red Drum, Croaker, Trout, Tautog, Black drum, Tile Fish, Amberjack, White Marlin, Bluefin Tuna, Shark, and Flounder. These fishing citations are issued through Virginia Saltwater Fishing Tournament. Trophy fish citations are issued when a species caught exceeds size and weight criteria. For the last 3 years Captain Austin has been a proud recipient of his Virginia Expert Saltwater Angler Title. This is given to an angler that registers at least six different species of fish for Citations in a single year. So whether you are seeking to catch anything from small tackle to large tackle fish, Captain Austin and his Finao Sportfishing Charter will be the perfect choice for your next fishing trip.